Co. Tipperary: Bansha, Bruis, Clonbeg (2), Cordangan, Cullen, Donohill, Emly (2), Golden (3), Kilaldriff (2), Kilfeacle, Lattin, Rathliney, Shronehill, Sollohead (2), Tipperary (4), Toem (2). Co. Limerick: Doon (2), Grean (2), Kilteely, Ulla. The Board also included 10 ex-officio Guardians, making a total of 40. The Guardians met each week on Tuesday. The population falling within the Union at the 1831 census had been 70,853 ranging from Shronehill (population 1,006) to Tipperary itself (8,019). 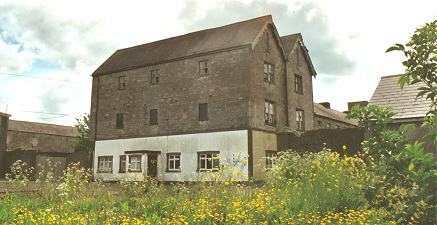 The new Tipperary Union workhouse, built in 1839-41, occupied a 6-acre site at the south of Tipperary. Designed by the Poor Law Commissioners' architect George Wilkinson, the building was based on one of his standard plans to accommodate 700 inmates. Its construction cost £6,240 plus £1,110 for fixtures and fittings etc. It was declared fit for the admission of paupers on 3rd June 1841 and admitted its first inmates a month later on 3rd July. The site location and layout are shown on the 1904 map below. The buildings followed Wilkinson's typical layout. An entrance and administrative block at the north contained a porter's room and waiting room at the centre with the Guardians' board room on the first floor above. Tipperary general view from the east, 2002. The entrance block was later extended at the east to provide children's accommodation and schoolrooms. 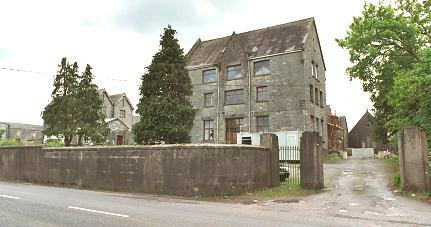 Tipperary entrance block from from the north-west, 2002. A chapel was erected at the west of the entrance block. 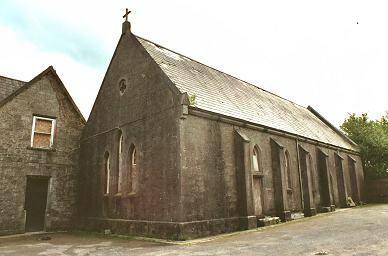 Tipperary chapel from the north-east, 2002. Tipperary accommodation block from the east, 2002. Tipperary general view from the south-west, 2002. At the rear of the accommodation block, a range of utility rooms such as bakehouse and washhouse connected through to the infirmary and idiots' wards via a central spine containing the chapel and dining-hall. In common with other unions in Ireland, Tipperary suffered greatly during the famine years 1845-50. The workhouse was greatly overcrowded with over 2,300 inmates at the end of 1848. Disease, particularly typhus fever, was rife. Sleeping galleries were erected to accommodate an additional 150 inmates, and a house hired for 50 fever patients. A 56-bed fever hospital was erected to the north of the town. 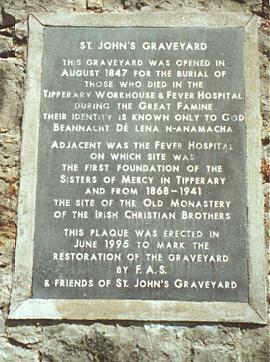 The number of deaths led to the use of mass graves in the St John's famine graveyard adjacent to the fever hospital. 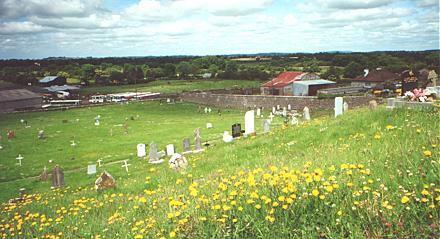 Tipperary St John's famine graveyard, 2000. 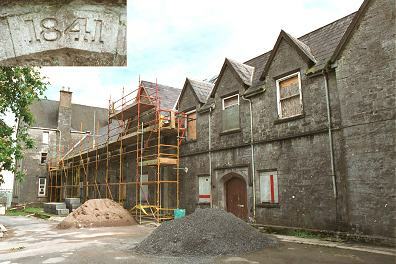 The former workhouse entrance block and chapel are being redeveloped for residential use. The remainder of the site is currently used as commercial premises.